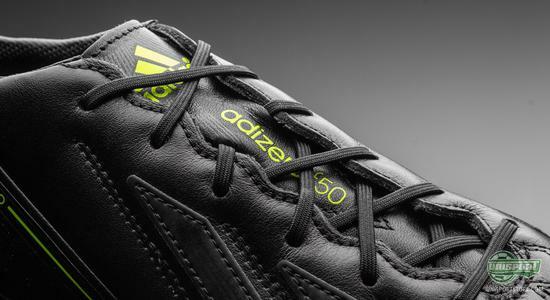 Adidas F50 Adizero Leather - are you going for all black or all white? Yesterday we saw Nike launching their elegant Stealth Pack, and now Adidas are joining the show also. 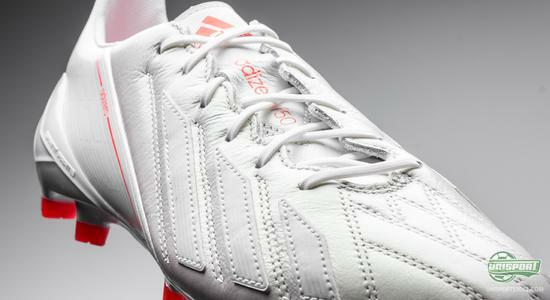 We welcome the Adidas Adizero F50 in two brand new and super elegant colourways, both with leather uppers. We are talking about an all black and an all white version. Come along and check out how it goes down when one of the most popular Adidas boots gets both the blackout and the whiteout treatment right here. 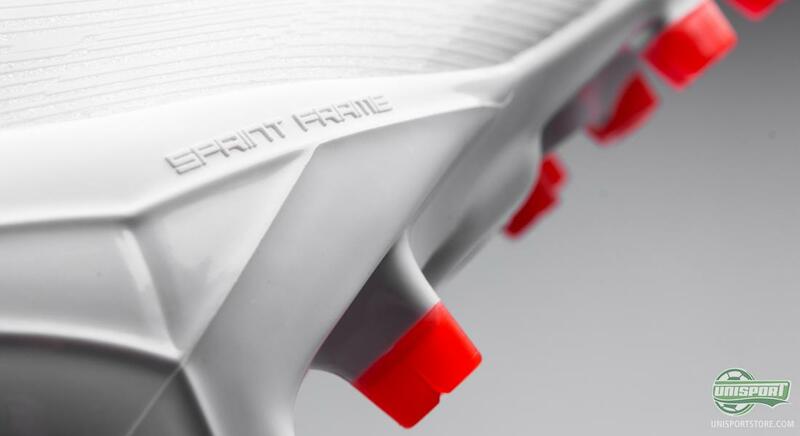 A football boot is allowed to be simplistic and minimalistic, and we have no doubt that these boots will be very much appreciated by a good crowd. It seems that the big boot giants agree to this statement, and just one day after Nike launched their Stealth pack, Adidas now bring us the new classic Adidas F50 Adizero Leather blackout, as well as whiteout. 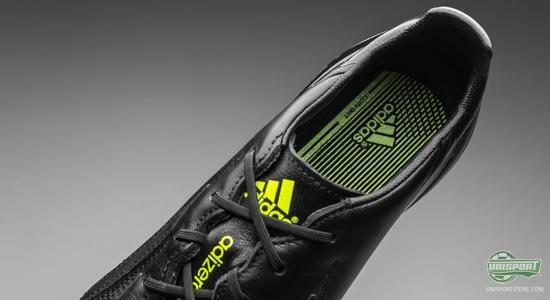 Hereby, you have one simple choice, if you are looking to sport a pair of F50 Adizeros  are you going all black or all white? No matter the choice, you are sure to display style and elegance as you enter the pitch. 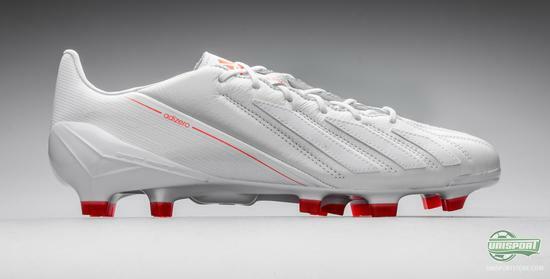 This weeks simple and minimalistic colourways are quite different from the festive colours that were presented with the Adidas F50 Adizero Messi last weekend and we certainly believe that the new elegant versions of the F50 Adizero will be well applauded among the footballers who are feeling that the current boot market is looking a bit too similar to a candy store. Whether you choose the white or the black version of the F50 Adizero, this fourth generation of the boot has been more than well analysed, developed and tested, in order to make sure that it meets the demands of the top modern footballers. 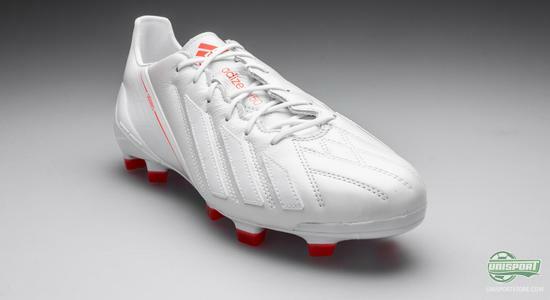 For these boots Adidas have even given an extra effort to ensure that the boot will adapt to your specific play. 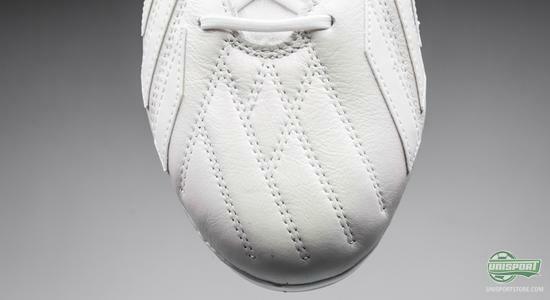 On the upper you meet the nice and strong Golea leather, which shapes according to your foot and also provides a very much sought after nice touch on the ball, which may be essential in decisive moments. The boot also includes the Adidas Sprintweb, which keeps your heel in place, and ensures the necessary stability and security in all situations. There has been used less Sprintweb material, in comparison to the synthetic version, as the natural leather material is strong enough to keep the heel in place on its own. 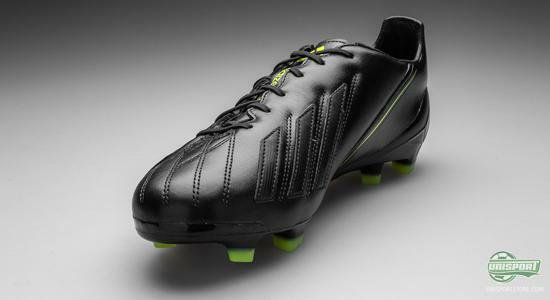 In general, this boot focuses a lot on the natural touch and increased comfort. The inlay sole is also more lined and shock absorbing when compared to the lightweight sole, which may be found in the synthetic model. 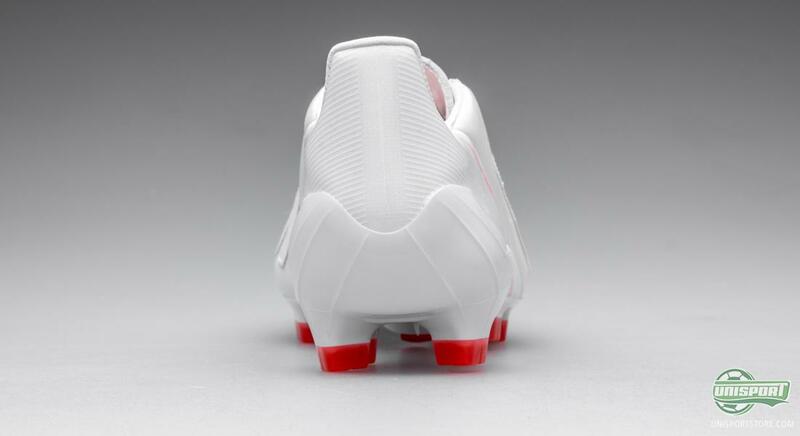 In addition, the nose of this boot is a bit taller, to create more space in the toe box. 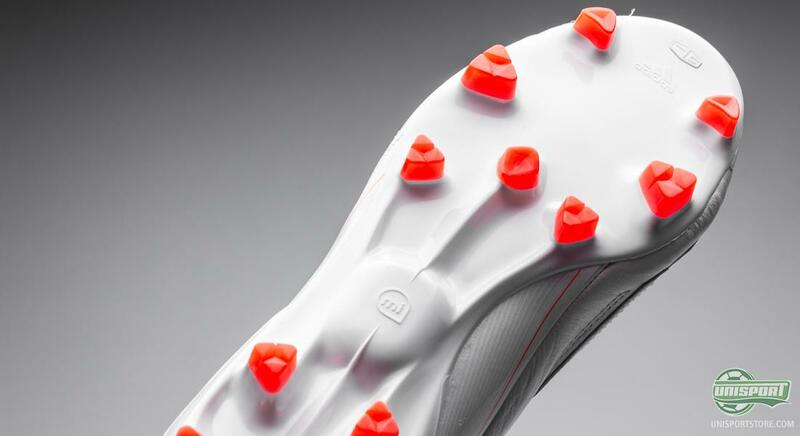 This increased focus on comfort and super nice touch on the ball does have an effect on the weight, but these boots are only 203 grams, an may surely still be classified as lightweight boots, as they will far from weigh you down during training or match. Under the boot you can see the well-known Adidas Sprintframe outsole, which has become synonymous with Adidas boots. 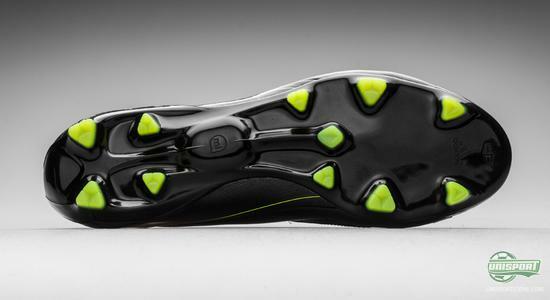 This outsole is incredibly springy and flexible, hereby providing an explosive acceleration. The stability has not been compromised and it is able to absorb the shocks coming from the ground. And if you make use of all the nice technologies to really get your speed on, you will also be able to measure how fast you have been travelling. 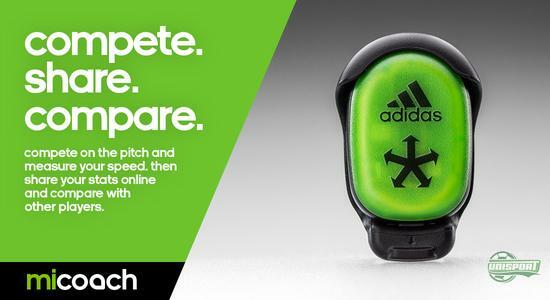 You can do this via the Adidas MiCoach, which is a chip that enables you to measure your top speed, distance, and average speed, among other things. We are more than enjoying this week so far. 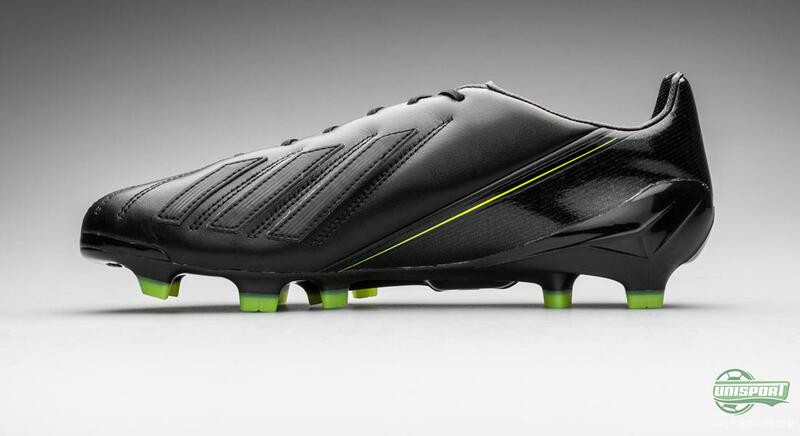 Yesterday Nike launched an elegant Stealth-pack, and today we are spoiled with both a blackout and whiteout version of the super nice Adidas F50 Adizero Leather. What do you think of the new colourways? Are you getting one of them? Feel free to leave a comment here or on Facebook and Twitter.